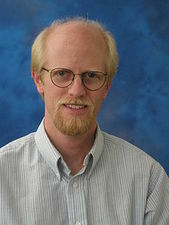 Paul C. Adams is Associate Professor and Director of Urban Studies Program (since 2003) at the Department of Geography and the Environment at the University of Texas at Austin as well as Chair of the Communication Geography Specialty Group of the Association of American Geographers. His special interests are related to ‘Place Images in the Media’, ‘Technologically-Mediated Gathering’, ‘Topologies of Communication’, ‘Geopolitical Discourses’ and ‘Formation of Subjectivity’. He was a Fulbright Research Fellow at the University of Bergen, Norway, in fall of 2010. He was a visiting Fulbright Fellow and Thomas O. Enders Fellow at McGill University and University of Montreal, Quebec, in fall semester, 2001 and received his Bachelor of Environmental Design from the University of Colorado-Boulder in 1984 (Special Honors), and his MS and Ph.D. in geography from University of Wisconsin-Madison (1990, 1993). Since then he gained a lot of honors, research grants and fellowships and published reams of significant publications. Large human collectives like empires and states have the power to act on other large collectives as well as on their own subjects and citizens. This power takes many forms, ranging from benign paternalism to exclusion and extermination. From the colonial era through the Cold War to the present we can observe many different models of geopolitical power and many different ways of justifying the exercise of power. The contemporary idea of state sovereignty is only one alternative out of many. This course introduces major geopolitical models and explores how they have been defended, how they have guided public policy, how they have surfaced in popular culture, and how they have been critiqued. Discussions will link to current trends in geopolitics: the erosion and reconfiguration of borders, responses to migration, environmental change, North-South and East-West dynamics, discourses around terrorism and security, scarcity and hunger, and movements promoting the interests of minorities and women. This course explored communication media from a geographical perspective. To fully understand the media we must look at media portrayals of various places, ways that media change the places where they are used, networks and systems of media infrastructure, and the peculiar spaces we navigate while our heads are “in” the media (including social media). These approaches bring up many issues related to surveillance, security, and personal privacy, as well as issues related to the maintenance (and possible decline) of public life. This class helped bring these various issues together in a single, coherent framework. Students developed skills to critically reflect on public policies related to media and their uses. Among this he took an active part on the conference ‘Media`s Mapping Impulse’ in June 2016 and was involved in the planning of future cooperation. His speech on this conference was titled „Refugee Risk Maps: The Anxious Cartography of Displaced Person Flows“. This presentation explores the risks associated with mobility in a world where digital tracking and surveillance are becoming the norm. People are increasingly mobile at various scales—urban, national and international—and this mobility is changing both quantitatively and qualitatively in the context of digital communications, taking on new meanings and social roles. One crucial element of this change is that personally identifiable information (PII) is increasingly shared with others, deliberately or unwittingly, during and/or because of the act of movement. This creates risks insofar as people have a fundamental interest in controlling information about their past and current locations, and their mobility in general, which derives from interests in both privacy and autonomy. We can call such information “geospatial PII.” Networked with wireless, locationally-aware technologies, people are increasingly at risk from surveillance and tracking. The discussion addresses three basic aspects of this situation: a) geospatial PII that people knowingly and willingly share, like photos and comments which a traveler posts on social media; b) geospatial PII that people knowingly and obligatorily share, like the itinerary of a trip shared with a credit card company in order to be able to use the card while traveling; c) geospatial PII that people unknowingly and unwillingly share, like being identified via facial recognition software or the surreptitious interception of one’s digital transmissions. The question of risk was discussed in connection with the three cases listed above and guidelines were offered for mitigating the risks associated with the sharing of geospatial PII. Ballard, D., McGlone, M. and Adams, P.C. “The Identity Map Project: Mapping ‘Something You Do’ Onto Convenience Behaviors” Center for Identity, University of Texas. Submitted 2015. Total funding awarded $104,519. Adams, P.C. (PI) “Identity, Risk and Human Mobility.” Center for Identity, University of Texas. Submitted 2015. Total funding awarded $12,500. 2015 Silver Spurs Centennial Teaching Fellowship #1 for consistent promotion of educational excellence in teaching students within the College of Liberal Arts. 2015 Rapoport-King Scholarship to Elena Kate Walker (Senior Honors Thesis under research supervision of P.C. Adams) “Solving Urban Problems in an Era of Polarization”. 2012 UT-Austin’s nominee for the National Academic Advising (NACADA) Award. 2011 University of Canterbury Visiting Erskine Fellowship, University of Canterbury, Christchurch, New Zealand. 2010 Fulbright Research Fellowship, Department of Information Science and Media Studies, University of Bergen, Norway. 2009 James W. Carey Media Research Award for Geographies of Media and Communication, by the Carl Couch Center for Social and Internet Research. 2001 Fulbright Fellowship ($8,000) McGill University and Université de Montréal, Montreal, Canada. 9/1/2001-12/31/2001. Lowell, J. & Adams, P.C. (accepted pending minor revisions). The Routes of a Plant:Ayahuasca and the Global Networks of Santo Daime. Social and Cultural Geography. Adams, P.C. (in press, 2016). A Day in the Life of an Enviro-organism. Transactions of the Institute of British Geographers 41(1). Adams, P.C. (in press, 2016). The case of the Missing Laureate: The Communication Geography of the 2010 Nobel Peace Prize. In S. Mains, J. Cupples & C. Lukinbeal (eds.) Mediated Geographies /Geographies of Media. New York: Springer. ISBN: 978-94-017-9968-3. 15 pages. Adams, P.C. (2015). Chapter 29: Social Media. In J. Agnew, J. Sharp, A. Secor & V. Mamadouh (eds.) Wiley-Blackwell Companion to Political Geography (393-406). Malden, MA: Wiley-Blackwell. Adams, P.C., Dittmer, J. & Craine, J. (2014). Introduction. In P.C. Adams, J. Craine & J. Dittmer (eds.) Research Companion to Media Geography (1-14) Aldershot, UK: Ashgate Press. Adams, P.C. (2014). Chapter 16: Spaces of the Word. In P.C. Adams, J. Craine & J. Dittmer (eds.) Research Companion to Media Geography (259-275) Aldershot, UK: Ashgate Press. Somdahl-Sands K. & Adams, P.C. (2014). Chapter 21: Spaces of Mediated Performance. In P.C. Adams, J. Craine & J. Dittmer (eds.) Research Companion to Media Geography (347-361) Aldershot, UK: Ashgate Press. Adams, P.C., Craine, J. and Dittmer, J. eds. (2014). Research Companion to Media Geography, Aldershot, UK: Ashgate Press. 390 pages. Adams, P.C., (ed.) (2013). Book Review Forum for Maxwell Boykoff’s Who Speaks for the Climate. Contributions from Karl Zimmerer, Diana Liverman, Mike Goodman, David Demeritt and James McCarthy. Dialogues in Human Geography 3(3): 303-321. Adams, P.C. (2013). Communication in Virtual Worlds. In M. Grimshaw (ed.) Oxford Handbook of Virtuality (239-253). Oxford UK & New York: Oxford University Press. Adams, P.C. (2013). Media. In K. Dodds, M. Kuus and J. Sharp (eds.) The Ashgate Companion to Critical Geopolitics. (263-280). Adams, P.C. and Gynnild, A. (2013). “Communicating Environmental Messages in Online Media: The Role of Place” Environmental Communication 7 (1): 113-130. Gynnild, A. and Adams, P.C., (2013). “Animation, Documentary or Interactive Gaming? Exploring Communicative Aspects of Environmental Messaging Online,” International Symposium on Online Journalism 3 (1): 39-60. Adams, P.C. (2012). “Trajectories of the Nobel Peace Prize” Geopolitics 17 (3): 553-577. Adams, P.C. and Jansson, A. (2012). “Communication Geography: A Bridge between Disciplines” Communication Theory 22: 298-317. Adams, P.C. (2012). “Multilayered Regionalization in Northern Europe” GeoJournal 77: 293-313. Adams, P.C. (2011). A Taxonomy for Communication Geography. Progress in Human Geography 35 (1): 37-57. Adams, P.C. (2010). Networks of Early Writing. Historical Geography 38: 70-89. Adams, P.C. (2009). Geographies of Media and Communication: A Critical Introduction. Oxford, UK: Wiley-Blackwell. Adams, P.C. (2007). Atlantic Reverberations: French Representations of an American Election. Aldershot, UK: Ashgate Press. Adams, P.C. (2007). Technological Change. Guest editor of special issue of Ethics, Place and Environment 10 (1). Adams, P.C. (2005). The Boundless Self: Communication in Physical and Virtual Spaces. Syracuse, New York: Syracuse University Press. Adams, P.C. (2004). The September 11 Attacks as Viewed from Quebec: The Small-Nation Myth in Geopolitical Discourse. Political Geography 23 (6), 765-795. Adams, P.C. and Ghose, R. (2003). India.com: the Construction of a Space Between. Progress in Human Geography 27 (4), 414-437. Adams, P.C., Hoelscher, S. and Till, K., editors. (2001). Textures of Place. Minneapolis: University of Minnesota Press.